Dr. Susan Jellissen, associate professor of political science, led a team of students to the 2017 American Model United Nations Conference hosted in Chicago. 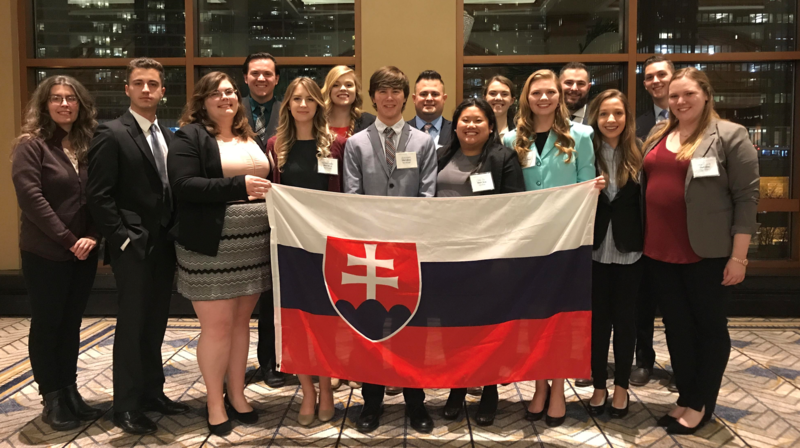 Belmont students representing the country of Slovakia engaged in debate and discussion with students from across the United States. Representing various member countries of the United Nations, these groups were able to pass creative and productive resolutions on issues ranging from human trafficking to human rights in the digital age. Belmont freshman Aubrey Keller served on the international press delegation and was recognized with the Outstanding Press Delegate Award. Keller is a double major in political science and English.